I’m on my way back to Quebec now, after five days in Vancouver. It’s been a terrific trip. The weather has been spectacular and the opening of my exhibition, Clichés to Live By, was a huge success — lots of people of all ages and lots of positive feedback. 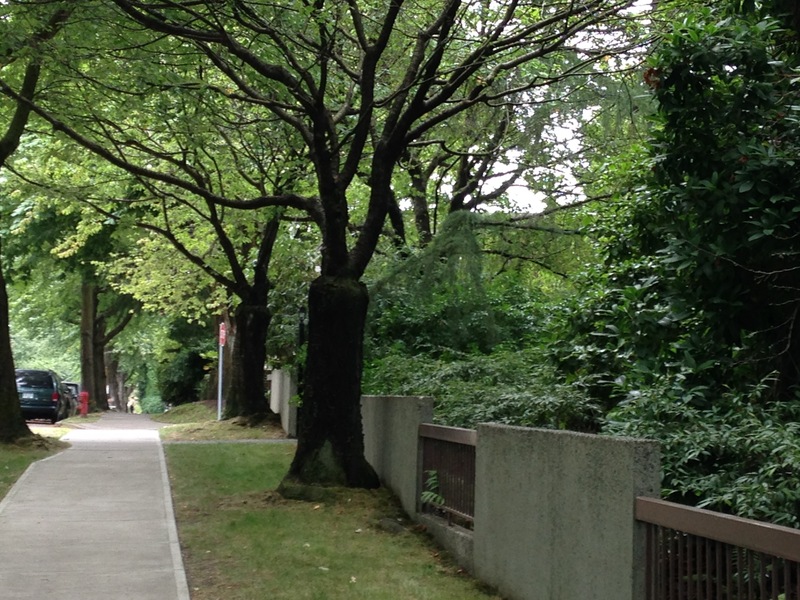 Along with visits to the Winsor Gallery to see the show, I’ve been walking around Kitsilano, the area of Vancouver where I stayed. ‘Kits’ was named after a Squamish chief, August Jack Khatsahlano. 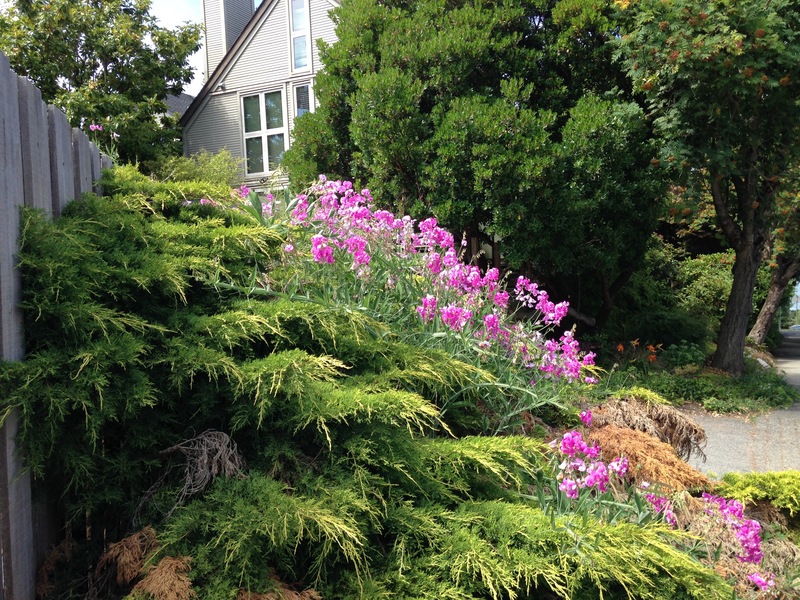 Once it was a dense wildlife-filled forest; now Craftsman-style houses line the shady streets. Pollarded trees provided welcomed shade on a hot day. In Vancouver’s temperate climate, gardens grow more lushly and more vigorously than they can in my garden in Quebec. In full bloom everywhere were the blue hydrangeas I’d like to grow but can’t, not because of soil conditions (they require an acid soil; the pink ones need an alkaline soil) but because the temperature drops too low in winter. 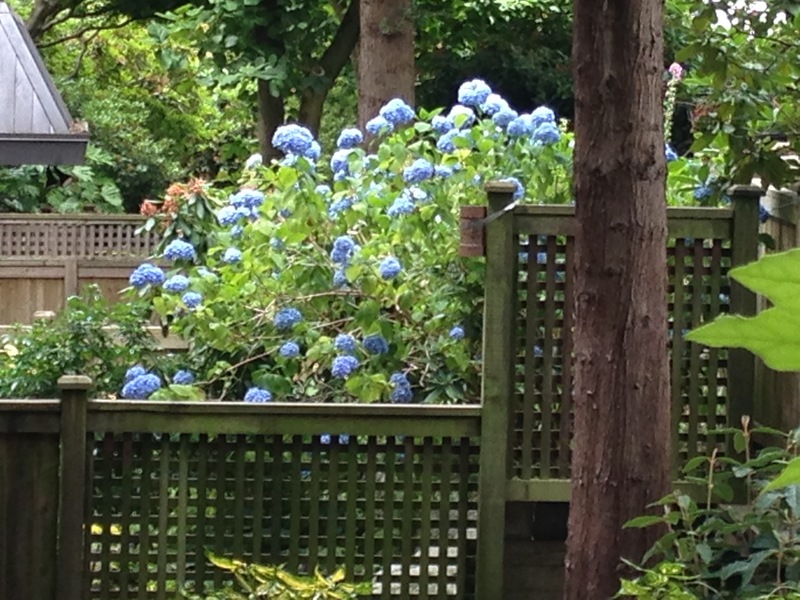 I photographed this hydrangea across several fences with my old I-phone so the quality isn’t as good as I’d like. But you get the idea. Hydrangea macrophylla like these are native to Japan, and many gardens in Kitsilano — and in Vancouver generally — attest to an affinity in growing conditions between the west coast of Canada and the large areas of the countries across the Pacific. 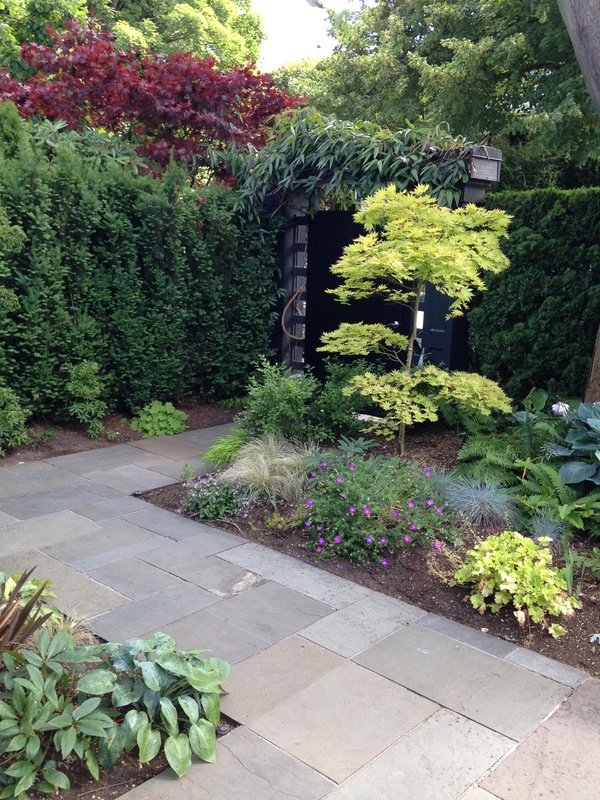 Many gardens have a vaguely Japanese aesthetic, with rocks and well-pruned trees. This Japanese maple is in my brother-in-law’s garden, a beautifully cool and shady spot. 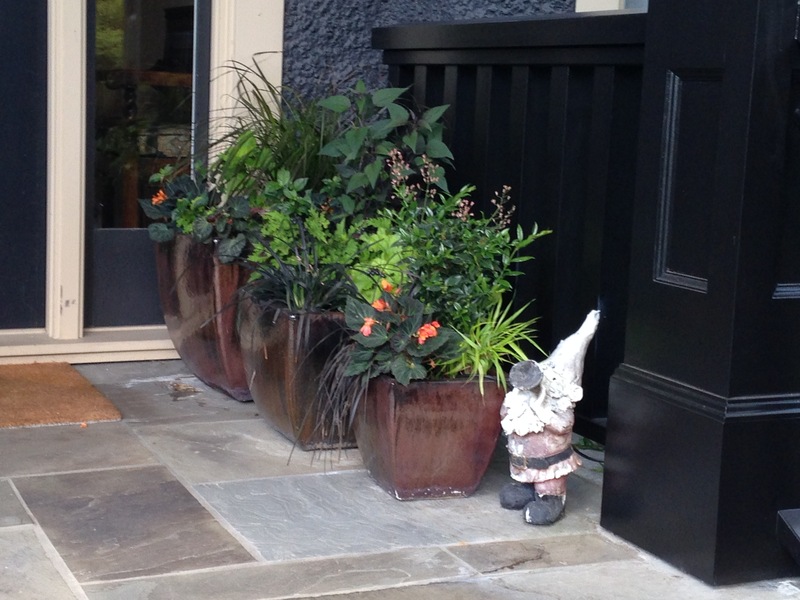 Walking around, I saw lots of nicely-arranged planters, including these beside my brother-in-law’s front door. Is this garden gnome a plus or a minus? You decide. But not all gardens are as peaceful as his. I passed some in my walks that displayed distressingly common faults. 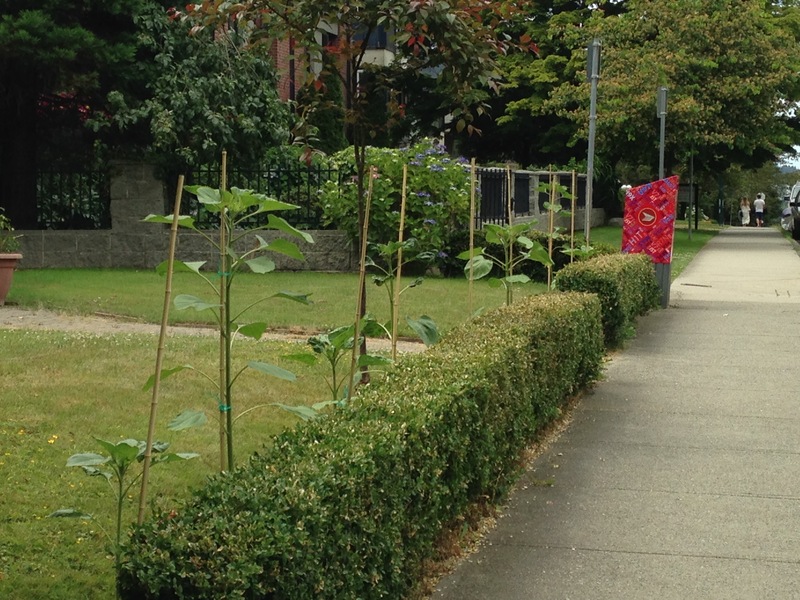 Straight-line planting, for instance, seems to be making a come-back, in Kits at least. Would you like to look at these staked plants all summer long? I know I wouldn’t. For me, these straight lines emphasize how even an attractive plant can be shown to disadvantage when the conditions are right (or should I say wrong?). 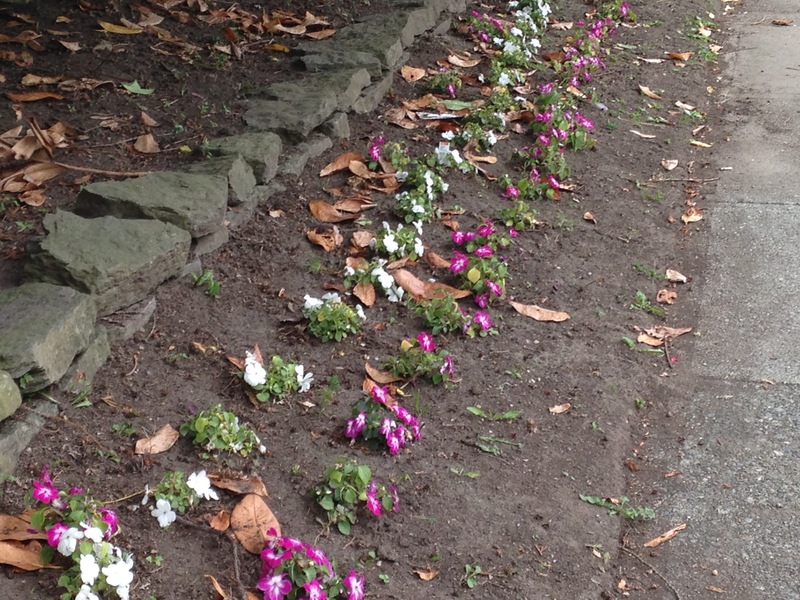 Impatiens in neat rows sticking out of bare soil: ugh! Generally, though, the gardens I’ve seen over fences and behind hedges have been a treat. I can even admit a touch of envy… who wouldn’t want to live where growing conditions like these allow sweet peas to tumble carelessly? Pruning the dead branches would enhance the effect of the sweet peas. But even unpruned, the combo caught my eye. What about you? 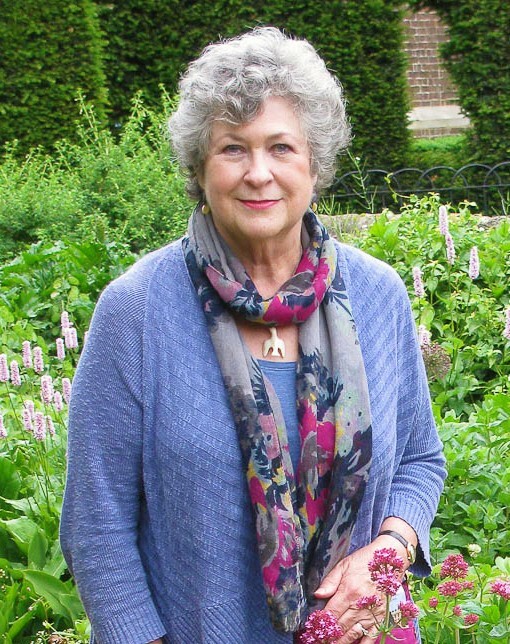 Have you seen any garden horrors recently? Or better, any garden delights?